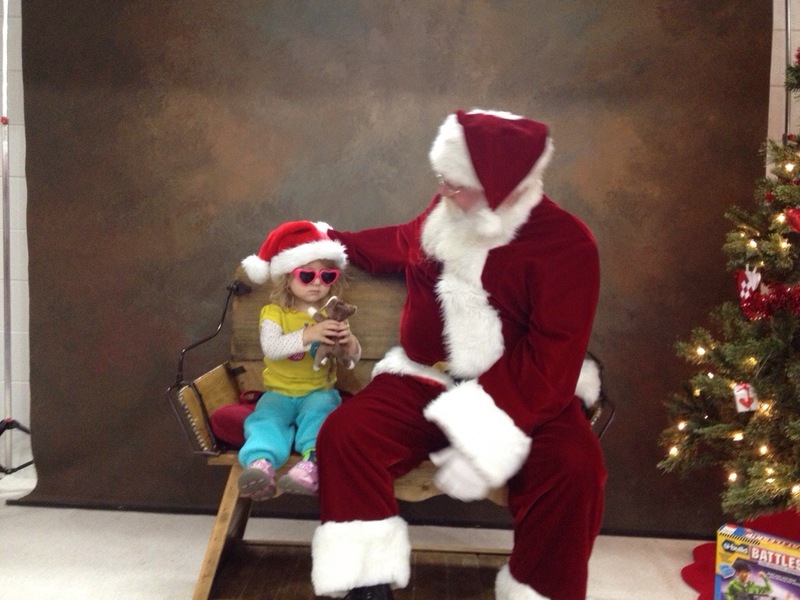 Last year was the first time we took Evie to see Santa. 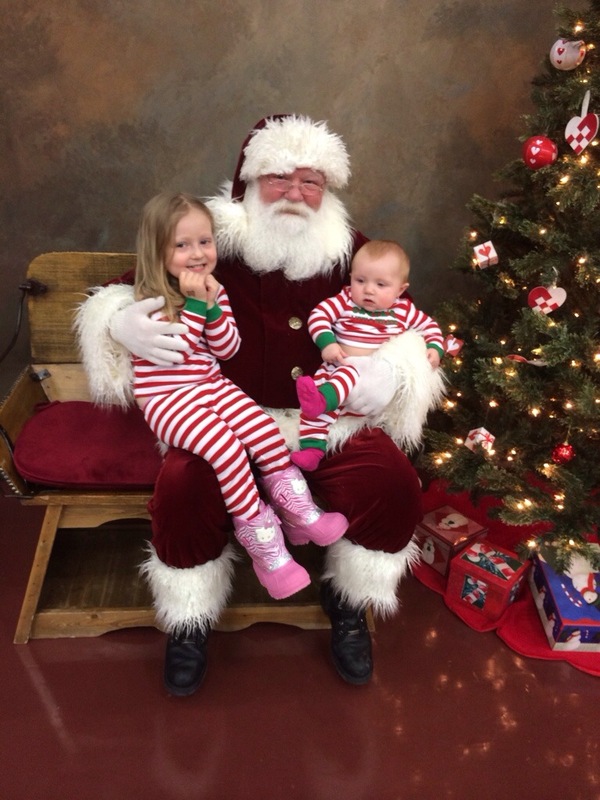 We didn’t think it would go over well when she was younger, but last year she was two and old enough to be excited about seeing him. Well, she was excited the second time around, especially because he gave her a candy cane and toy cat. The first time, she wasn’t so sure about him. 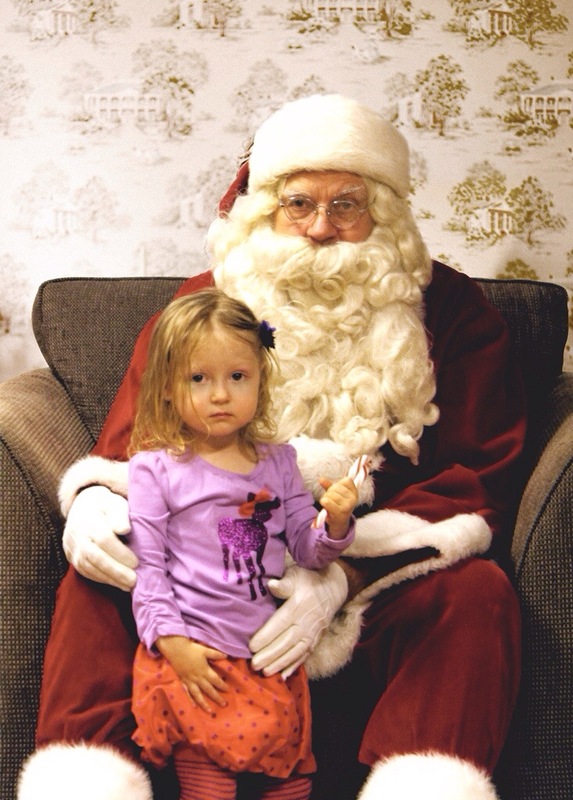 This year she is much less apprehensive towards Santa and couldn’t wait to go see him. Mira is the one who’s a little wary now.